You’ll want to remember the name Jonathan Barber. The young drummer was voted as the Best Up & Coming drummer in the Modern Drummer Reader’s Poll. It comes to no surprise as Barber has shared the stage and studio with numerous artists ranging from Erkyah Badu, Wallace Roney, Jeremy Pelt, and Terrace Martin to name a few. 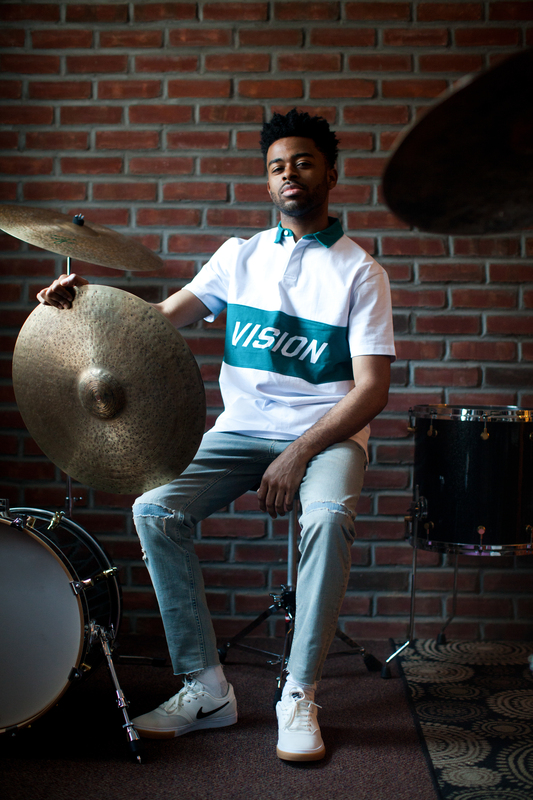 On May 11th, Barber will take a step forward to release his forthcoming debut album, Vision Ahead. Backed by pianist Taber Gable, guitarist Andrew Renfroe, saxophonist Godwin Louis, Matt Dwonszyk on bass, as well as vocalists Denise Renee and Sasha Foster, Barber’s first album showcases the his maturity and multi-faceted talents. Among those many talents also includes writing lyrics as can be heard in his version of Eldar Djangirov’s “Airport.” Originally composed by Eldar as an instrumental, Barber set lyrics to the tune while flying to Europe for a tour. The lyrics Barber penned also works with dual meanings. One being the literal function of an airport and the other as a message for people to chase after their dreams. Musically, “Airport,” is also a treat to listen to. With a compelling guitar solo from Renfroe in between verses, the song ends with Barber getting wax poetic behind the kit as the Gable and Dwonszyk hold down the fort to give the drummer some. Upon hearing the the arrangement of the tune, Barber’s sublime drumming ability, and how he is able to lead his band into taking a pre-existing song and make it into their own while respecting the original composer’s intent, it’s easy to see why readers of Modern Drummer voted Barber as the best up-and-coming. As mentioned previously, remember the name. Cop Vision Ahead via iTunes ahead of its May 11th release.